We listen to a lot of music, watch a lot of videos, and do a lot of video chatting with each other so we are always going through headphones and earbuds. In fact I had just gotten Mike and Elijah both new pairs for Christmas and then this month I had to buy Elijah another pair for school because his school ones broke. I use my earbuds mostly for watching things in bed on my tablet. The biggest problem with that is the cord getting wound up and they end up tangled so I get frustrated trying to de-tangle the things in the dark. This week I've had the chance to try out my new wireless in-ear headphones and I can proudly say tangled wires are now a thing of the past. Supported by apt-X HD and 6th generation CVC tech, to ensure high-fidelity bilateral stereo sound and clear speech. The packaging itself is great! When it came I was impressed with the box. it's very sturdy and magnetic closure. It's great because I can keep everything together that I am not using. The headphones came charged straight out of the box, that was a real time saver because I was able to try them out right away! I used them around 8 hours total the first time through before the battery ran down. Recharging took less than 2 hours and I've used them again about 6 hours and the battery is still good so far! You could also always charge them in your purse from a portable battery or if your car when you're on the go if you get low! When paired with my iPhone 6 the battery indicator was right on the top and clear, but when paired with my Samsung Galaxy Tab 2 it does not show an indicator so you just need to have an idea of how long you used them to know how long you have left. It paired to both my phone and my tablet with absolutely no problems. Excellent sound quality. Very clear speech whether it's music, a show, or a phone call. 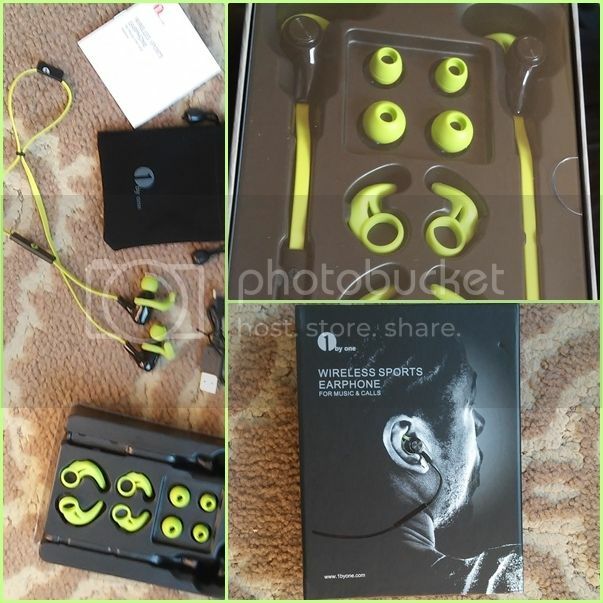 Very great quality for music, nice bass, clear instruments, no tin or echo!!! Great Design. 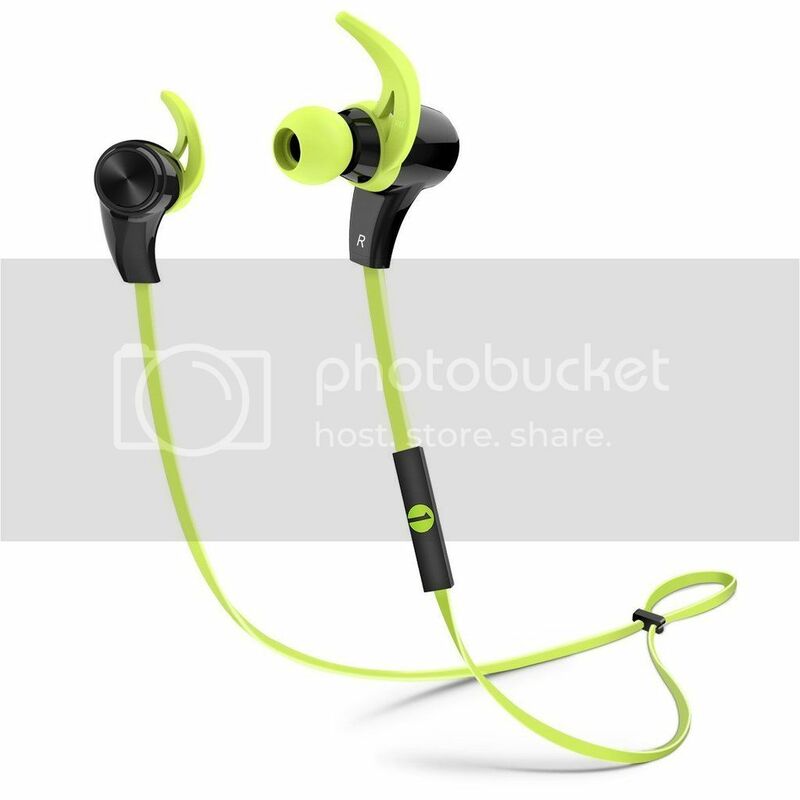 It was hard for me to figure out the little ear-hook at first because I'm used to regular earbuds but once I went to the image on the website where they show you how to put them in it was fine. Since I mostly just use these in bed I don't really need them but I feel comfortable that if I wore them during a workout that this design gives them a pretty secure hold! I don't have to worry about loosing them midway through. They are also sweat-proof and very comfortable so far! 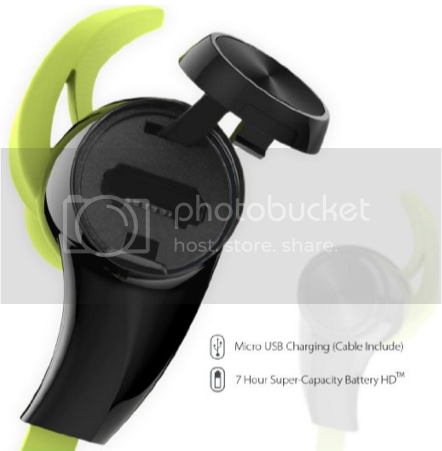 Both the earbud itself and the ear-hooks come in the package in small, medium and large. I have very small ears and found the small was just right. Ideas for Improvement: Some more fun colors and a way to hold them around your neck together like a necklace if you take them out would be great. and buy it on Amazon!